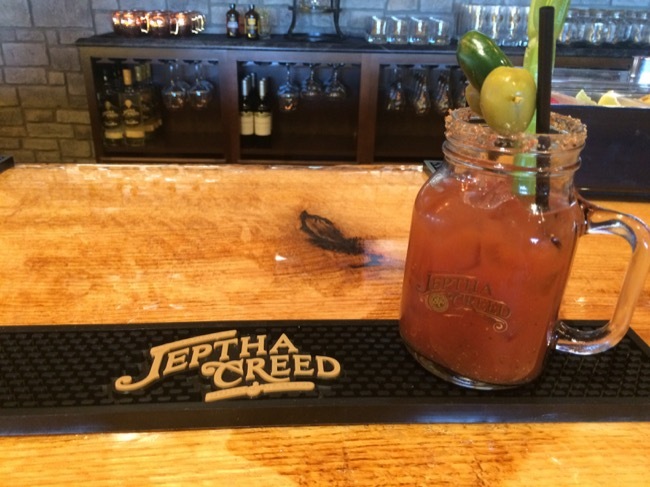 I was fortunate to be at the new Jeptha Creed Distillery this morning for their opening reception and ribbon cutting ceremony. Very cool distillery that’ll soon have some bourbon — but in the meantime, they were making excellent Bloody Marys and Bellinis with their vodka and moonshine products. In fact, after the ribbon cutting, they opened the doors to the Visitor’s Center, and I was the first one at the bar (shocker). Read more about the experience here. Or, better yet, go check it out for yourself. It’s just a quick drive to Shelbyville, one exit past the Simpsonville Outlet Mall on I-64.